BJ Creative was tasked by James Owens to build a website for his structural land works business. This incorporates the provision of water for festivals, the laying of new roads for provate land and more substantial projects including the building of purpose built lakes. 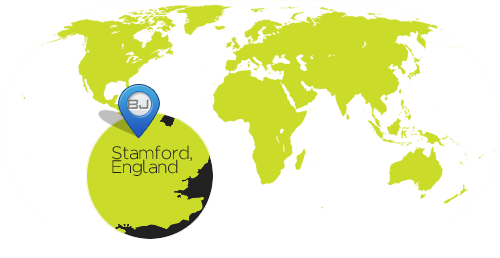 Aqua Earth are based in Stamford, so early meetings were quick and the outlay of what they were after was very simple. They wanted a clean looking logo that could be projected on to all of their materials and clothing. Their website did not need to be overly complex, but did need to be able to convey the core skills that they provide. We began the project by working up some ideas for Aqua Earth to review. The logo was the starting point and we had a blank canvas with regards to colour, size and layout. We started off work with the two key words and the message that they were trying to push across. We began by incorporating icons of machinery, leaves and trees and blueprints for buildings. However after the first review meeting, it was decided that plain text was the best approach to convey the clean professional image. After the logo signoff, we immediately began working up the designs to show how the home page would look. The initial designs were all very plain but incorporating a large earthen footer. Once Aqua Earth saw this, they wanted to try something different. They asked us to try and work up one of their events that they create each year, the Secret Garden Party, in a format that would demonstrate some of the work that they have done. This gave us a challenge, but we rose to the task. Using Vue X-Treme, the same software that was used in the Hollywood blockbuster Avatar, we started to build a mock-up one of the sites, including the purpose built lake. We added some tents, that we then were able to impose the Aqua Earth logo on to. The build of this 3-D set took some time, but everytime that a render was produced, there were more great features added to the list. The last addition though, is perhaps the most notable. The giant floating rubber duck!! The rubber duck was an essential ingredient once James was aware of the capabilities of this software. We recommended some key words that should be focused on and we also went through some of the rival sites that Aqua Earth would be coming up against.